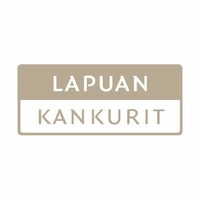 More about Lapuan Kankurit Hirvi Grey/White Wool Blanket Escape the chill in authentic Finnish style with the Lapuan Kankurit Hirvi Grey/White Wool Blanket. This blanket features a reversible print; one side has the print in creamy white on a grey background and the other side has the print in a reverse colorway. The edges are finished in a traditional zig-zag stitch. 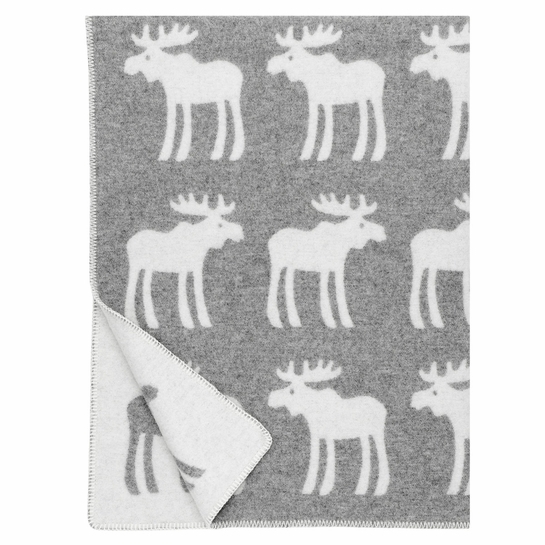 Both Marja Rautianen’s Hirvi (moose) print and the blanket’s 100% pure new wool will stand the test of time beautifully. Cuddle up in the soft wool blanket to feel like you’re at a cabin retreat anytime. Care: Hand wash in 86°F (30°C) water or dry clean. Hang to dry, do not tumble-dry. great blanket for moose lovers of all ages! This blanket is going to a fifty year old, but it would also be great in a kidâ€™s room (even a nursery, perhaps) with a forest or deep woods theme. ProsI love the warmth and weight of real wool. ConsWell, some people find wool itchy.